Dr. Stanley M. Weinstock is a graduate of New York University College of Dentistry and did his residency at Albert Einstein College of Medicine: Bronx Municipal Hospital Center. 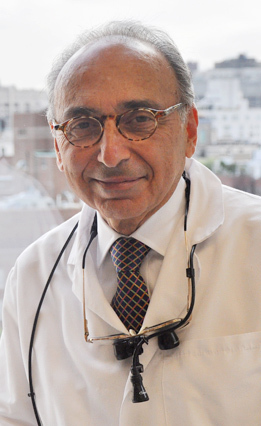 He is currently Co-Director of Prosthodontics in the Department of Dentistry at Jacobi Medical Center Albert Einstein College of Medicine, Associate Attending North Central Bronx Hospital, Assistant Clinical Professor Albert Einstein College of Medicine and was a former Lecturer of Graduate Prosthodontics at Columbia University School of Dental Medicine – Department of Prosthodontics. Dr. Weinstock has presented hundreds of lectures and courses in the field of prosthodontics to local and national groups.